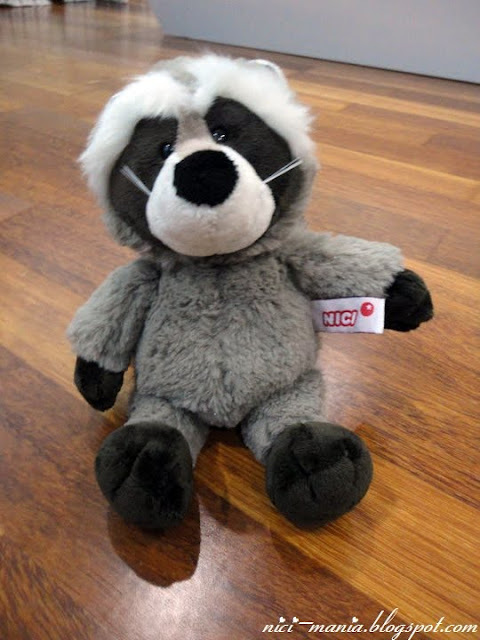 Since we started collecting NICI plush, it has been our mission to spread the NICI love! Today we received some adorable pictures from our close relative who bought her first NICI toy! 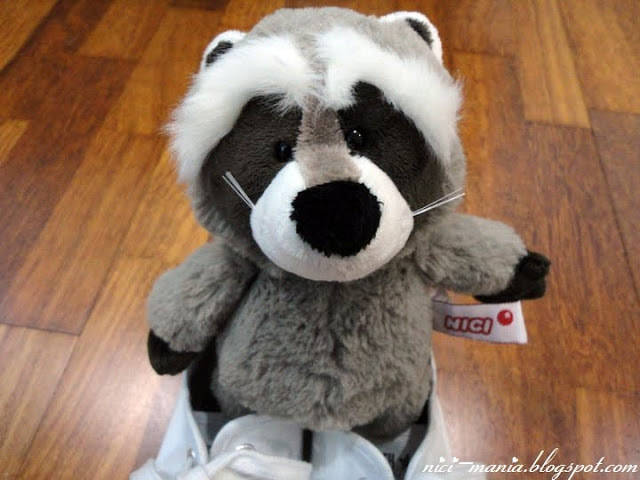 NICI Raccoons has so far been very successful in charming people to buy them with their awesome cuteness and their beautiful plush tail. 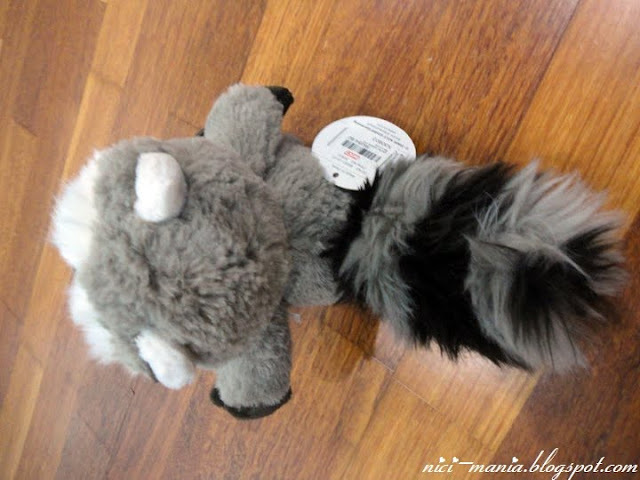 This raccoon's tail is as big as his body! Rob, where are you going? Hi Rob! It looks like you have a very nice new home. Although, I think those tennis shoes might be a tad large for you. 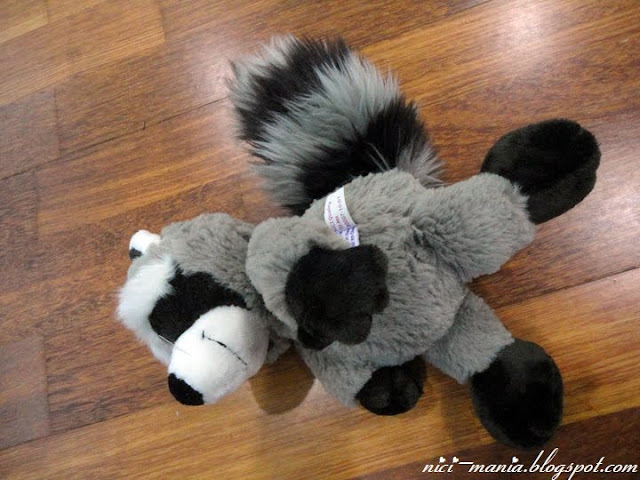 I think there is a raccoon who lives in our neighborhood, maybe you're related to him? Hi to Hugo too. 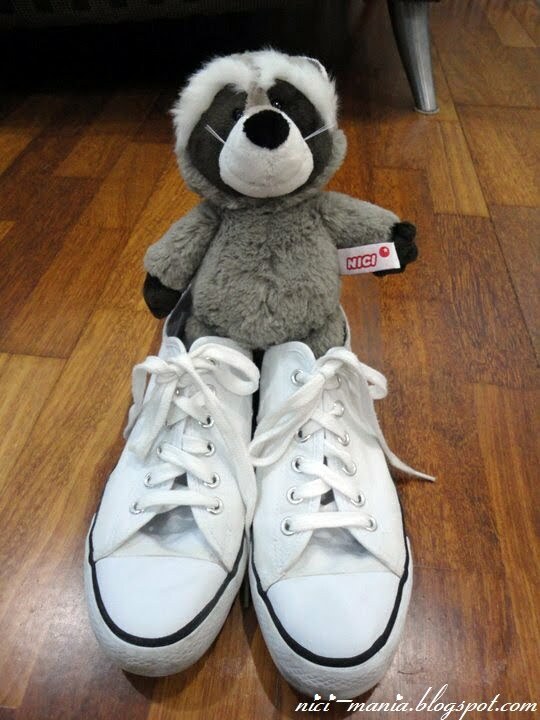 Mischievous raccoon is trying to wear his owner's shoes.